Rejuvenation Water is the World’s first Amino Acid enriched spring water. Paid back on 23 Dec 18 67 days early!!! Founded in 2016, Rejuvenation Water is now selling in Holland & Barrett, Costco, John Lewis and Waitrose in over 1,500 stores. This month they launched in Morrisons and they have another new supermarket listing agreed for October. It will be their biggest yet. To fund this growth Rejuvenation Water is raising £35,000. In return they are offering to repay in 7 months plus a profit of 7.8% or 8.3% PRIME. That's an annual equivalent of up to 14.7%. You'll also become a Friend of the brand. Rejuvenation Water successfully raised £35,000 to fund the production of 3,500 cases 271 days ago. Check back soon for more offers. Originally from Yorkshire, former banker Kris Ingham discovered the benefits of Amino Acids when at University over 10 years ago. Seeing a significant opportunity to bring a more innovative sugar-free soft drink to the market, Kris undertook years of research and development before finally quitting his job and launching Rejuvenation Water in 2016. Rejuvenation Water is the World's first Amino Acid enriched spring water designed to provide essential hydration and nutrition whilst on-the-go. Since then, Rejuvenation Water has experienced tremendous growth, launching in the sought-after front of store fixture in Waitrose as well as Morrisons, Costco, Ocado and Holland & Barrett. Rejuvenation Water can now be found in over 1,500 stores in 6 countries. 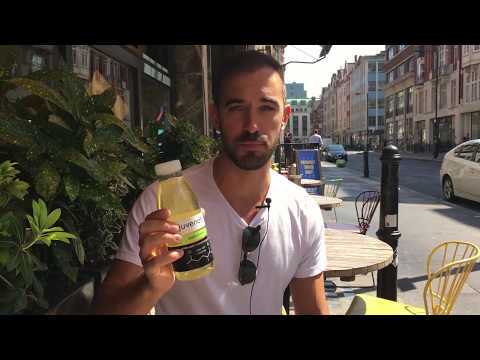 Rejuvenation Water are also soon to announce another major UK supermarket listing. Rejuvenation water is about to launch in another major UK supermarket. The product is already selling in 1,500 stores in CostCo, Holland & Barrett, Ocado, Waitrose and in Morrisons since July. The new listing is expected in October and Rejuvenation Water has been guaranteed that it will be sold through an additional 302 stores. To satisfy this demand the company requires additional stock. Founder Kris Ingham's proposal for PrimeStox investors is to raise £35,000 to fund the production of 3,500 cases of all three varieties of Rejuvenation Water. Each case will contain 12 bottles of Rejuvenation Water and each bottle will be 1,000ml. You can fund each case for £10.00 (0.83p per bottle). The offer is fully backed by this product. In return Rejuvenation Water is offering to repay in 7 months plus a profit of 7.8% standard or 8.3% PRIME. That's an annual equivalent rate of 13.7% or 14.7% PRIME.